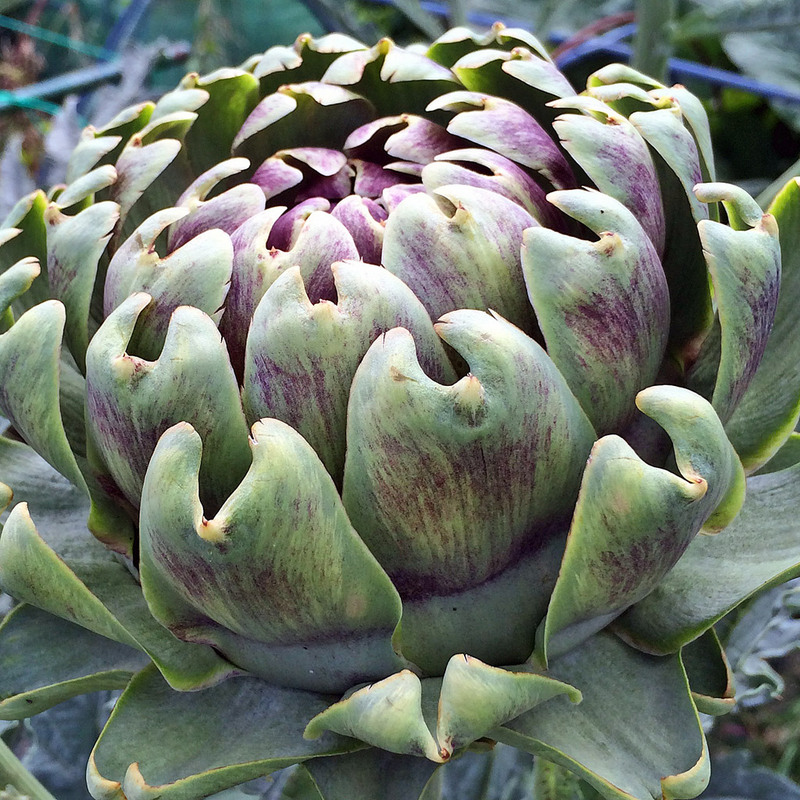 I loved this artichoke plant I saw in one of the allotment gardens, but I’ve had to crop it quite tightly as my iPhone’s narrow depth of field makes the background very distracting. The blue and turquoise supports at the top make a frame of sorts, though I’d magically whisk them away if I had the editing skills. In black and white the plant supports are less evident. I miss the colour, but nature’s subtle, painterly effect on the fleshy flower bracts is interesting: a recompense of sorts. The feathery foliage of the plant is still distracting or interesting: I’ll be kind to myself and say probably a bit of both. 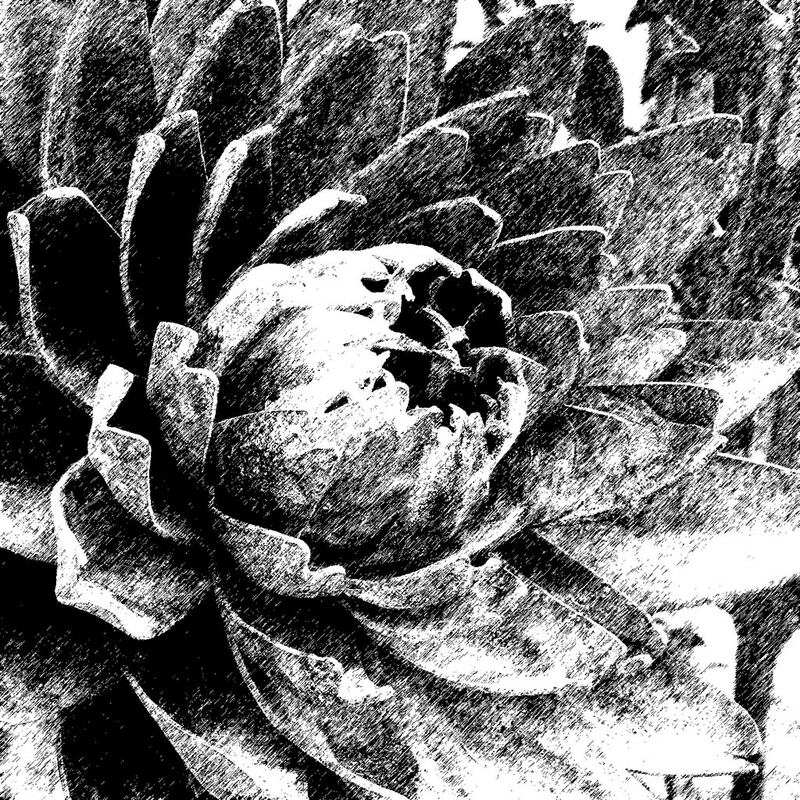 While I was editing, I remembered a picture of some artichoke garden art from the Hampton Court Flower Show and tried to disguise another distracting background by converting the image to black and white. The Photoshop texture effect was just an instinct: I wanted to soften the heavy bluntness of the metal compared to the living flower bud. 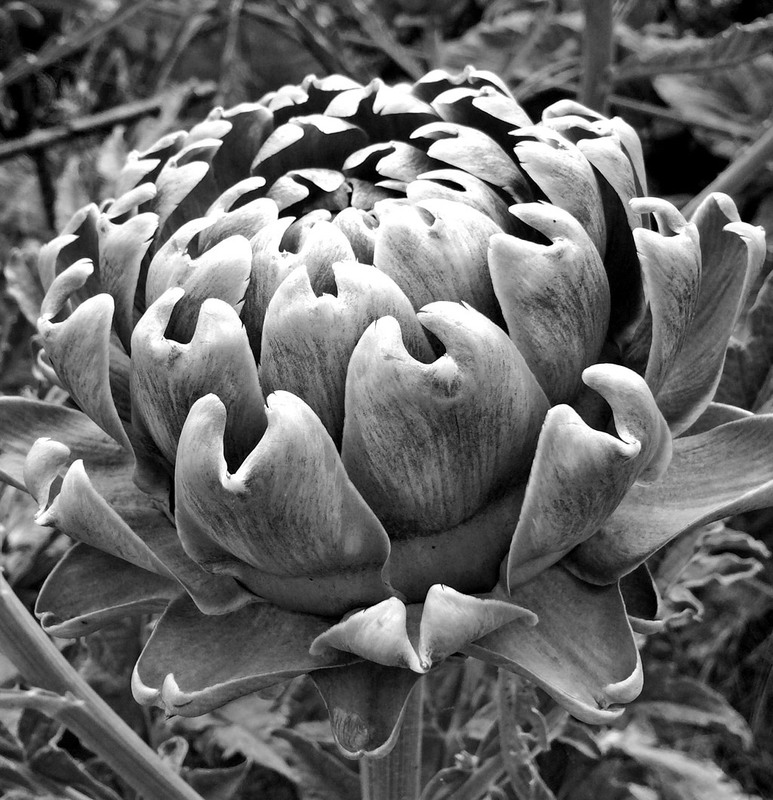 Though I really liked the metal artichoke when I saw it at the show, for me, nature wins this head to head, hands down. The picture of the living flower bud may not be perfect, but it has somehow captured the supple bloom of life: the nurturing relationship between sunlight and the plant which we’re taught about, but being human, can never really understand. And cake!! Forget that he artichokes. What sort of cake was it ? Wow. Paradise. All the very best.